Friday Friday Friday! The work week is moving into the rear view mirror and the weekend is staring us in the face. So we’re starting Fridaywritingtips. To elucidate, illuminate, and inspire. And please feel free to ask questions: about books, publishing, writing, the meaning of life, whatever. This week is all about The Idea. Here’s an insider’s tip. The greater your idea, the better your chances of getting successfully published. But what makes a great idea? It’s original yet familiar. New fangled but old fashioned. It fulfills a need. Scratches an itch. Solves a problem. Takes us on a wild ride. Makes us laugh or cry or fall in love. Fills a hole in the market. Most of all, it has a big passionate audience. “’Now it’s time for some self- assessment. Do you really have something new to say? Something only you can put into words?’ Neal Sofman, owner of San Francisco’s BookShop West Portal, says ‘The thing I notice with successful authors is that they have a unique voice that communicates to their audience. They touch you in some way. You know immediately who’s speaking because they’re so distinct.’ Many, many people spend years and years writing and trying to market books that end up as recycled paper precisely because they’ve failed to capture their uniqueness on the page. And those who fail often become bitter and frustrated, sliding sadly into desperate lives of drugs, booze and literary criticism. Blogging, writing, publishing. Oh yeah! Mama Plus. Genn Albin, author of Crewel, has been chosen to present at the very prestigious BEA Author Buzz event. Of the hundreds of thousands of books that are going to be published this year, only three are chosen in the Young Adult Category. Hers is one of them. It could not have happened to a nicer person, whose talent is only matched by her work ethic. Rock on, Genn! We are also very excited to announce some book deals: Client extraordinaire, Joanneh Nagler, just signed with AMACOM for her book, The Debt-Free Spending Plan. She is represented by brilliant book dude, Herb Schaffner, to whom we had the pleasure of introducing Joanneh. Arielle has also made a deal for her next book—this one with her mom! It’s a lavishly illustrated visual guide to the science and culture of color. It will be published by Black Dog & Leventhal in Fall 2013. And David has three new books on or soon-to-be on the shelves! He sold his novel Mort Morte to Vagabondage Press. It’s the first book he ever wrote, and he’s been trying to sell this it for 20 years! We always say that persistence is one of the most important attributes an author can have, and this is the living embodiment of this idea. Mort Morte will come out in August. He is also signed with the amazing publisher Soft Skull for the sequel to his anthology, which ended up on the front cover of the Sunday New York Times Book Review. In addition, he’s been busy with an experiment in independent publishing. His new novella is now available in electronic and printed form. It was quite an exciting and eye-opening experience to become his own publisher. It confirms our belief that this is in fact the greatest time in history to be a writer. He will be writing more about that experience soon. As the Ides of March recede into our rearview mirror, the cherry blossoms bloom and the tulips poke their heads out after a long hibernation. The Book Doctors have just returned from an exhilarating, exhausting, and altogether magical trip to that great flyby kingdom called The Midwest. Our first stop was Wichita, the Paris of Central Kansas. Despite the No Gun sign hanging at the entrance of our hotel, people are just so nice in Wichita. Our four-year-old commented on how everyone says Sir and Ma’am. We met some fantastic writers at the Kansas Writers Association Conference and ate some outrageous steak. Next up, Kansas City. We were lucky enough to hook up with last year’s winner, Genn Albin, whose book Crewel will be released in October. So many exciting things are happening to her, and we couldn’t be tickled pinker. Once again, we had the best of hosts at Rainy Day Books where we held another super fun Pitchapalooza, as well as a great workshop. Then it was onto New Orleans, for the Tennessee Williams Literary Festival. We fell in love all over again, with the street musicians, the silver human statues, the beads, and of course the food. Shrimp with grits, pork swimming in sweet succulence, beignets and bananas foster, turtle soup and alligator gumbo. The festival itself was beautifully run, and we heard scores of brilliant pitches, many of which featured New Orleans herself as a main character. We even had a man pitch in a mask and a kilt. And no one even seemed to notice. We are delighted to be teaming up with World Literary Cafe for another Online Pitchapalooza. From April 15 to May 15, submit your 200-word pitch to info@thebookdoctors.com. The winner will receive an introduction to an agent or editor appropriate for their work. And of course, anyone who buys a copy of our book The Essential Guide to Getting Your Book Published will receive a free 20-minute consultation. 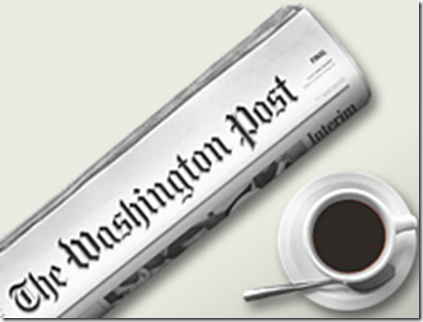 Check out the great article about our DC Pitchapalooza in The Washington Post! Copyright © 2012 The Book Doctors, All rights reserved. I’d never aspired to be a writer although lots of people have assumed I have. I do like to read. Maybe that has something to do with it. Anyway, finding out that there was such a thing as NaNoWriMo got me thinking. I remember someone telling about a motivational speaker who asks a room full of people, “Who wants to write a book?” Everyone’s hand goes up. Then he asks, “Who has written the first chapter?” The hands go back down. I figured if we both undertook the challenge, we could spur each other on, like running a marathon with a friend. I also liked the idea of the set time period. There’s nothing like a deadline to make things happen. I announced my intention to participate and now there was no turning back. The only thing missing was a topic. Back in college, I had taken a course on Napoleon and the French Revolution. I ended up doing a report on Napoleon’s retreat from Russia after his failed invasion in 1812. The disaster stuck with me as something about which many had heard, but the details were obscure. My wife and I had become hooked on the humorous Bloody Jack series of books about an orphan girl in London who ends up in the Royal Navy. While the series is full of outlandish adventures, it got me to thinking that putting a youngster into the grown-up world of the military and war would make for an interesting story. And so, standing at the clothesline in mid-October, 2010, I pulled these two ideas together and came up with the premise for Russian Snows: Coming of Age in Napoleon’s Army. My story would be about a boy who accompanies the Grande Armée on the great invasion. There is another element I need to work into my tale at this point. For most of my life, I’ve done Revolutionary War re-enacting. In fact, my wife and I met because our fathers had joined the same regiment when we were in our teens. All of these years of experiencing firsthand the “hurry up and wait,” confusion, contradiction and plans gone awry, albeit as a re-enactor, gave me some feel for what a lowly soldier in the ranks must experience on a campaign. This is why I wanted my main character to tell the story through his eyes about what he saw. As such, he wouldn’t have known what the generals were planning, he would only know what he experienced himself or heard from someone else. It had been many years since that college report on the retreat from Russia so, in mid-October, I threw myself into a frenzy of studying the campaign, the soldiers’ life and outlining the story. Meanwhile, something else was giving me cause for concern. I’d never written fiction before and was worried that I wouldn’t be able to write enough to get to the 50,000 word goal. So I paid particular attention to developing a good outline and thinking through what my character would experience. I decided if I could outline 30 chapters, one for each day of the November writing period, I would be all right. Then November started. I set my alarm an hour earlier in my daily quest for 1,667 words (50,000/30 days). The words flowed. I wrote thousands of words in chapters that theoretically would have only 1,667. Helen, my number one writing buddy, and I kept track of our growing word count on the refrigerator white board. I put my character, 13-year-old Henri Carle, into 1811/12 France and let him go, documenting the trials, tribulations and adventures along the way. The word count grew and grew. By Thanksgiving, my daughter and I were both NaNoWriMo winners and with days to spare. But, there was a problem. I had written my 50,000 words and November was over, but my story had only been half told. The epic part of the story, the part where my hero endures the Russian campaign, was yet to come. Now I had to write without the daily 1,667 word goal to drive me. Fortunately, a new goal soon appeared. The nice folks who run NaNoWriMo, sent an email telling about the Amazon Breakthrough Novelist Award contest which had an entry deadline at the beginning of February. Thank goodness, a new deadline! Back at the keyboard, I wrote until the end of January while my wife (and number one editor) worked on editing. Then it was time to write the pitch, give the manuscript one last look and submit it to the contest (all 115,000 words). The waiting for the judges’ decision began. In the meantime, The Book Doctors had teamed up with the NaNoWriMo people to offer a special, online Pitchapalooza for NaNoWriMo winners. Twenty-five pitches would be selected at random to be critiqued and the pitch for Russian Snows was one of them. Because the 200th anniversary of the events depicted in Russian Snows was fast approaching, The Book Doctors suggested I self-publish if I wanted my book in print by the time the anniversary rolled around. Russian Snows made it into the final 250 out of a potential 5,000 entries in the young adult category in the ABNA contest. The Publishers Weekly review was positive but advised, just as some writer friends had, that I trim down the manuscript. My target readership was 12 – 16 year olds so ideally, I had to cut my manuscript by over half. A summer of cutting, editing and re-writing had the manuscript down to 51,000 words and I was ready to self-publish. October 19, 2011, the 199th anniversary of Napoleon’s departure from Moscow to begin the retreat, was the date of my book launch. With a stack of books from CreateSpace at my side and a cake depicting the book’s cover, I signed books like a pro. This June will mark the 200th Anniversary of Napoleon’s invasion of Russia. I have developed a presentation on the plight of the soldiers on that campaign and am available to give it to local groups (southeast Pennsylvania). As a side project to the book, I began a blog about the experience of the soldier on the campaign that features eyewitness accounts of those who were actually there. The blog can be seen at www.Napoleon1812.wordpress.com. Russian Snows: Coming of Age in Napoleon’s Army is the fictional account of 14-year-old Henri Carle as he accompanies France’s Grande Armée from Paris to Moscow during Napoleon’s 1812 invasion of Russia. When his older brother Luc enlists in the army, young Henri follows and finds work in the camp bakery. He later joins the supply train to stay close to Luc on the long march through Europe. Shy and unprepared for life on his own, Henri is shaped by the people he meets. As the French army crosses the vast plains of Russia in search of a decisive battle, he develops skills and confidence. When the battle finally comes at Borodino, Henri is caught in the thick of the action and proves his bravery. The victorious, but battered French army is now caught deep in enemy territory. Henri and the devastated army begin the retreat in a desperate attempt to escape the Russian army and the Russian winter. Henri is forced to use his wits, skills and quick thinking to survive. He experiences the horrors of battle, the heartbreaking agony of the wounded left behind and the death of his friends. As he is maturing and becoming a man, the army is disintegrating around him. With a quiet determination, Henri triumphs as he becomes both the first Frenchman on enemy soil and the second to last Frenchman out of Russia. A cross between Stowaway and The Hunger Games, Russian Snows follows actual events and incidents from the campaign as Napoleon’s invading army was reduced from 500,000 to barely 20,000. The story brings the disaster to life through the eyes of Henri in this sometimes humorous, sometimes heart-wrenching, but ultimately uplifting adventure that paints a picture of what life was like for the common soldier. The crazy tale of Nura Maznavi & Ayesha Mutta, & how their book Love InshAllah finally got published by Soft Skull Press. The Book Doctors had a great time at the 2nd annual Book Revue in Long Island. Here’s the podcast! Excellent mini-documentary about Pitchapalooza taken at Book Revue, Huntington Long Island.